Will you buy iPad mini? For those of you skydiving from the edge of space or returning from a week in some Fringe alternate universe, today Apple announced iPad mini -- so far the autumn's worst kept secret. Rumormongers got right the event and sales dates, product name and screen size but flubbed the price; sorry it's not $249 or $299, Bub. That's in another alternate reality. But do dream. I just have to ask, again: Will you buy iPad mini? I look forward to the impact facts will have on your answers. In February I asked: "Apple is rumored to be developing a smaller tablet. Would you buy an 8-inch iPad?" About 56 percent of the 3,624 respondents answered "Yes". That's a high number. 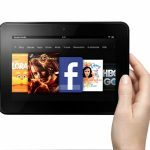 But much has changed since, with Google Nexus 7 joining Kindle Fire at $199, Amazon offering 8.9-inch tablets and Apple choosing to price higher than many people hoped. So I ask the question again, offering new poll and your chance to comment. The invitations are out, and rumors proved true. 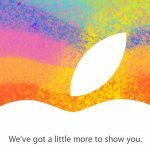 Apple will hold a special press event, presumably for iPad mini, on October 23 -- that's three days before Microsoft launches Windows 8 and Surface tablets. Talk about party crashing. Apple almost surely will steal much of its rival's thunder, splitting media coverage and assuring that most every Windows 8 or Surface blog post or news story will mention Apple and iPad mini. Anyone who thinks the timing isn't deliberate lives in lala land. Capitalism is all about brutal competition, and if iPad mini debuts next week Apple will heap hot coals through Microsoft's Windows and onto its shiny Surface. InterWeb writers have obsessed about the rumored tablet for weeks. Its arrival will be almost as blah blah worthy as Steve Jobs returning from the dead. 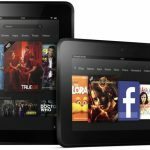 Almost two weeks after Amazon unveiled new tablets, the $199 7-inch Kindle Fire HD tablet gets "a new lease on life" through rooting. Gaining elevated privileges (popularly known as "root") is facilitated by an exploit found in Android 4.0 Ice Cream Sandwich that Amazon didn't fix before shipping the tablet. The fairly uncomplicated process gives the Kindle Fire HD a new trick up its sleeve -- using the Google Play Store, which provides access to all apps available there. 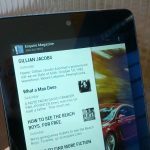 Following Amazon's Kindle Fire HD announcement, a reader reminded me of a prediction I made at the start of the year: "If Apple gives up its position of industry leadership in 2012 the only company capable of assuming that role is Amazon.com". I stand by those words -- Amazon is really bringing the fight to Apple -- but the most important part is "if Apple gives up its position", which it clearly hasn’t, at least not yet. The real loser here, in fact, is not Apple but Microsoft. I could be wrong about this but I don’t recall any pundits (me included) predicting that Amazon would introduce a larger format tablet, yet that’s exactly what they did. The larger Kindle Fire HD with its built-in content and app ecosystem (and that killer 4G data package!) is a viable iPad competitor at a terrific price and puts real pressure on the Cupertino, Calif.-based company. Will Apple match the price? I don’t think so. That’s not the game they want to play. But the game is on, nevertheless, and users can only benefit from competition. Google is in a tough spot. 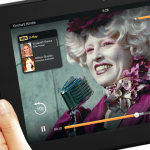 Apple suddenly looks like an ally now that Amazon has unveiled Kindle Fire HD. Both companies stand to lose big time should the tablet achieve any meaningful sales success. Google Play doesn't offer strong enough ecosystem to battle with either iPad or Kindle Fire, but Amazon's tablet is more likely to scorch Android's earth. Amazon's vertical integration -- store, software and services -- is tight, as good as Apple's and in many respects superior. No matter which wins, Android loses. 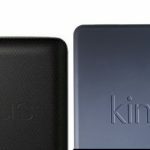 Amazon on Thursday unveiled four new Android tablets in the Kindle Fire family: two models with a 7-inch screen, and two with an 8.9-inch screen. Irrespective of how many Kindle Fires Amazon actually sold, it's hard to argue that the retailer has done anything wrong. It built a content ecosystem first, and then delivered the hardware with which to consume that content. The icing on the cake was that the device was one of the cheapest brand-name tablets on the market. Just hours ahead of Amazon's debut of a new Kindle tablet on Thursday, Kobo, the e-book company that can be thought of as "Canada's Kindle" debuted a new color Android tablet called the Kobo Arc. 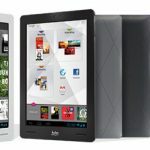 Kobo Arc is the company's second Android tablet, following up on the Kobo Vox which debuted around this time last year. I've seen some desperate bone-headed, PR moves before, but Amazon's newest is one to long remember. When Apple announces a press event, the InterWebs erupt with speculation about what it can be. When product inventory is low in stores on some fruit-logo product, rumors explode about something new in the pipeline. 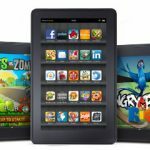 Amazon has to work harder, issuing today a press release that Kindle Fire has sold out, ahead of next week's press event. Could the retailer be any less subtle, while revealing sales data that is absolutely nothing but meant to be something. BetaNews founder Nate Mook nails exactly what's wrong with Amazon's gambit to drum up excitement ahead of the September 6 event. Earlier today he forwarded the Kindle-Fire sell-out email, writing: "It's SOOOO successful. So we're not making any more". That sums it up. Could it be the new Kindle Fire? Amazon just dropped an invite in my inbox for an unnamed "press conference". Timing sure is interesting with persistent rumors about a new Kindle Fire and possibly even a 10-inch tablet. All this around when about Apple is rumored to hold an event that could unveil the next iPhone. I don't take much stock in rumors, just what we know. Which is this: Amazon will hold a press conference in two weeks at Barker Hanger in Santa Monica, Calif. Please use comments to make your guess what on earth it will be. Why does Google subsidize Nexus 7? 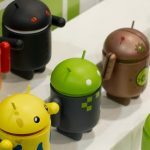 To understand why Google subsidized the Nexus 7, you have to first understand what makes the tablet market unique from all other forms of personal computing. All personal computing devices fall into three major categories: PC, cellphone, and tablet (with possibilities for more in the future such as “smartglasses”, which Google and others are developing). The PC market is mature, there have been very few changes since the nineties; functionality has steadily improved and the only big change was the advent of the laptop, which changed the form, although, it didn’t change the two main players: Apple and Microsoft, with Microsoft’s hardware manufacturers also playing an important role. The players in the PC market have changed little (sure HP bought Compaq and IBM sold out to Lenovo). It would take a truly revolutionary product to change anything even though there have been attempts -- the constant presence of Linux, and the recent (relatively) introduction of Chromebooks for example -- none have have managed to have any impact. Following up on reports from the fourth quarter of 2011, Bloomberg on Friday cited anonymous sources that said Amazon is working on its own Smartphone in conjunction with noted Chinese device manufacturer Foxconn International Holdings. Additionally, the report pointed out that Amazon is also on the market to buy more wireless patents, highlighted by the fact that the company recently hired a new general manager for patent acquisitions. Contemporaneously with the Bloomberg report, approximately a dozen new job listings at Amazon popped up today for mobile software engineers that can support "existing Amazon technologies and [build] support for next-generation technologies." 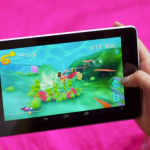 NOW would you buy a Google Nexus tablet? Google I/O starts tomorrow, and if rumors are right -- and I believe them -- developers get a big peak at the 7-inch Nexus tablet. About a month ago, I asked how much would you pay for one. Now with more details available, I ask if you will buy the Google device. The Nexus tablet, manufactured by Asus, features a 7-inch IPS LCD display with 1280 x 800 resolution; 1.3 GHz quad-core Tegra 3 processor, 1GB RAM; 1.2-megapixel front-facing camera; near field communications; and Android 4.1 "Jellybean". There are two capacities, 8GB and 16GB, selling for $199 and $249, respectively. This information comes from a leaked training manual that Gizmodo Australia obtained. The big differentiator is price. As I explained in April, "Google isn't trying to save Android tablets but kill Kindle Fire". The existence of a 7-inch Google-branded Android tablet has been rumored for a couple of months, and Asus has proudly taken credit for manufacturing the device. Still, the specifics have not be officially laid out, so we have to rely on unnamed sources and ambiguous evidence for the next few days until Google I/O begins. Reportedly, some "training materials" uncovered by Gizmodo Australia related to a tablet known as the "Nexus 7" provide some confirmation to prior rumors of an Asus-made Google Tablet, similar to the MeMO 370T that was debuted by Asus earlier this year. 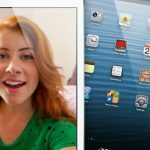 Would US consumers choose iPad mini over Kindle Fire? Rarely does a ChangeWave consumer buying survey offer so many intriguing topic possibilities. 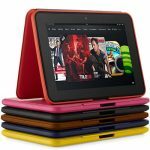 Interest in Kindle Fire has collapsed, only 7 percent of respondents plan to purchase a new tablet within 90 days, those buying overwhelmingly choose iPad, but interest in a smaller Apple tablet is fairly modest. 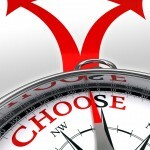 Buying intention surveys are often misleading. What people would like to do often isn't what they will when time comes to pay up. With that caveat, the survey -- 2,893 consumers last month -- bodes ill for Kindle Fire or prospective iPad mini. 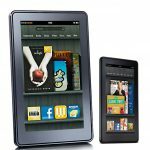 In November, 22 percent of respondents said they would buy Kindle Fire, but only 8 percent in May. Meanwhile a mere 3 percent of respondents would very likely buy iPad mini.